Organizations have been optimized for efficiency and predictability, but not adaptability in a complex, hyper-connected world. People in organizations work and relate in 20th century behavior patterns and mindsets. 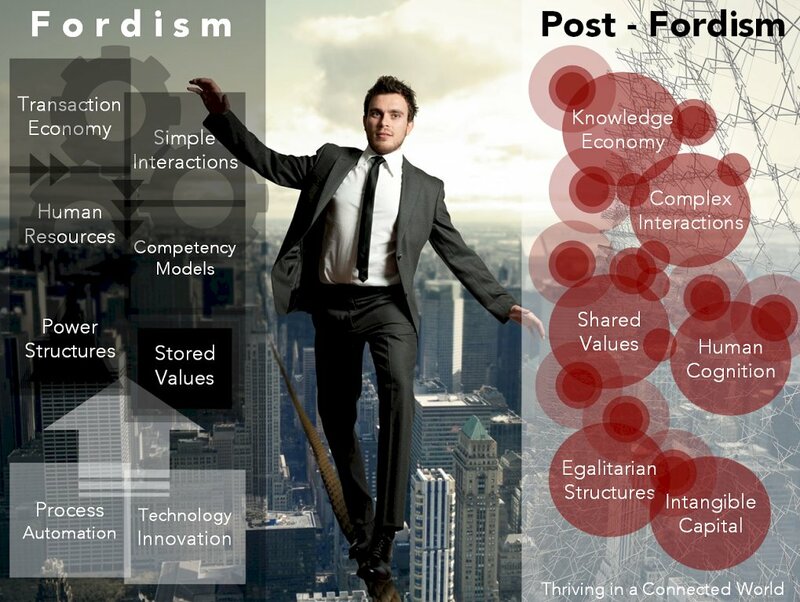 Leaders in companies worry about being disintermediated by upstarts who capitalize on fully networked business models. The strategy is often to launch digital automation efforts with a focus on accelerating traditional business processes to respond their fully-networked customers. We help you bring crucial capabilities to your organization to spark and sustain new business value, to help people adapt and learn together and to move to responsive operational excellence. We help bring the power of enterprise social networks to your organizataion to create value, unleash workforce knowledge and talent.